The test system in this case is an Athlon X2 64 with 4Gb of RAM that had been suffering from the XP Pro 3Gb limit and was pushing 3 years old anyway. 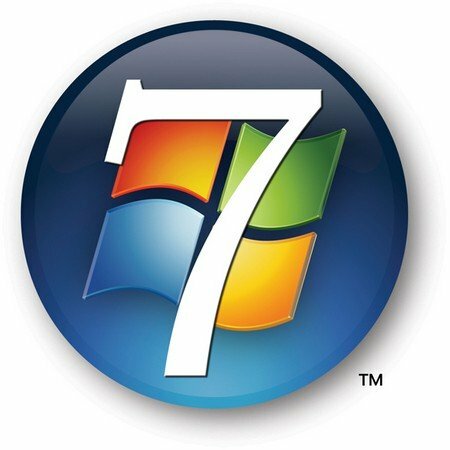 I swapped out the C drive so I had a surefire way to roll-back and went ahead and dropped Window 7 Pro on it. My first impression was the speed of the install. Usually a windows install was something that at least lasted several cups of coffee if not a sleep overnight somewhere in the middle, but this one only lasted about 20 mins! As for the OS in general, so far I´m impressed, the extra Gb of ram is certainly a factor as is having a fresh install to iron out any kinks - but beyond that is also has some handy features and the start-up is certainly faster. So, on to compatibility... This aging system did require some ´jigging´ to get everything to play - including using some Vista drivers to unlock all the components on the motherboard - and one of the two built-in Gig-Ethernet ports (the Marvel Yukon one) I was forced to disable entirely. The real shocker for me was the lack of support from the Anti-virus community! My all time favorite Symantec Corporate wouldn´t even install and after recent experience I wasn´t about to touch AVG (which seems to have support) So I did my research and elected to try a few new ones. I had heard a lot about the speed and low resource use of Vipre so thought I would give that a try. Vipre installed and seemed to work fine until it found some of my networking tools and application installers - Then it went on a false positive rampage and I had to give it the boot. It seems to think both SSH and VNC are harmful and wouldn´t give it up. More reading led me to something I had never heard of called anti-vir which has a free edition and so far is showing promise, apart from the HUGE advert that pops up every so often asking me to get their paid offering. Disk Defrag was also a problem as Diskkeeper wouldn´t install - seems only their latest latest version will work and not eager to fork out the bucks for that without trying a few others things I am still trialing several other possibilities. In my case some of these issues are because of the 64Bit OS more so then Windows 7 and beyond these the only other issues I had were Adobe Type Manager (replaced with the Printer´s Apprentice - much better anyway) and my password manager AnyPassword (replaced by KeePass - also better) but despite an import of all the old ones - I have several hours of re-sorting to do. Looks good to go and I plan to upgrade my primary desktop later this week - the fact that I have 8GB of RAM in there and will finally be able to see all of it being a large factor in my push to get to this point sooner rather then later. Hope this helps anyone considering taking the somewhat ´bleeding edge´ move - feel free to ask about any specifics if you have a burning question that is holding you back.